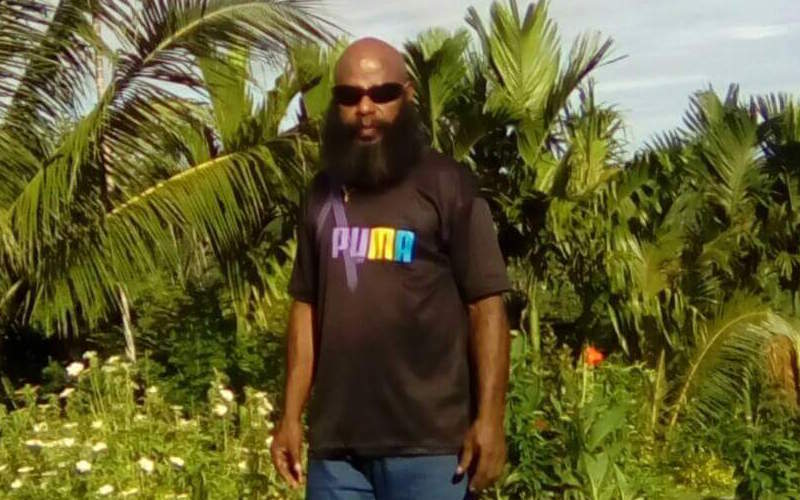 John Akar is a dogged whistleblower from Angoram in East Sepik Province. He twice exposed systematic breaches of immigration and labour laws by foreign companies working in Papua New Guinea’s booming oil and gas industry. Akar claims his career has been ruined as a result. Two Oil Search contractors, High Arctic Energy Services and Parker Drilling – both are North American based multinationals – were fined a total of K675,000 for illegally employing foreign workers on short-term business visas as a result of John Akar’s bravery and persistence in exposing the scams. However, there are no laws on the books protecting the rights of those who expose corrupt or other illegal behaviour. This provides a strong deterrent for both private sector and public employees who are aware of illegal behaviour within their organisations, to report their suspicions. Ironically had John Akar reported the corporate misconduct in the home base of either corporation – the US or Canada – he would have been protected by a range of whistleblower legislation. However, what foreign corporations can’t get away with at home, in Papua New Guinea it is an open door. 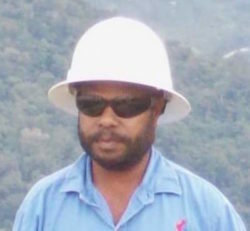 John Akar’s story also lifts the lid on a common perception that illegal immigration and labour law abuses in Papua New Guinea are primarily the preserve of Asian owned businesses; even supposedly reputable international companies will sometimes break the law if it is seen as beneficial to their commercial interests, regardless of public commitments to corporate social responsibility and even whistleblower protection. Parker Drilling is a United States based public company that provides drilling services and tools to the energy industry. According to its latest annual report it has more than 2,000 employees working in 20 countries around the world. In 2004, Parker Drilling subsidiary, Parker Drilling Company of New Guinea, was working as a contractor for Oil Search Limited in the Highlands region. John Akar was employed as a Human Resource/Travel Administrator by the company. His role was to manage the travel bookings for field-based staff in and out of the remote drilling sites. After just a few months in his new job Akar became aware that perhaps not everything at Parker Drilling was legal and above board. Mr Akar says he was picked up and questioned by police officers based at Moro after two foreigners arrived to work at the project site with only business visas stamped on their passports. “My expatriate supervisor arrived at the Police Station a little later and changed the story; that the expatriates had come not for work but to provide advice only to the company operations. This was not true, the two foreigners had actually arrived at the project site to work, but the police let us go”. Back in the office, Mr Akar says he was summoned by his boss and coached what to say and what not to say in future if questioned by government officers concerning the employment of foreign nationals on business visas. “I was not given an explanation for this and didn’t dare ask, as my supervisors were upset at my story to the police earlier concerning the arrival of the two foreign workers. I was new on the job and concerned about repeating the same mistake”. Mr Akar could see that clearly something was amiss and, given the lack of any reasonable explanation by the company, he was determined to investigate further. He studied Papua New Guinea’s immigration laws and discovered that Business Visas and Work Visas serve two very different purposes. Business Visas are intended for short stays by foreigners seeking business opportunities. Paid employment under a business visa is expressly forbidden. Work Visas are for foreigners that are employed in PNG and these visas have strict rules around reserved occupations and localisation training programs. Work Visas are more costly and time consuming to obtain than simple Business Visas. Using Business Visas for paid employees can also mean companies are not paying payroll taxes to the Internal Revenue Commission. Mr Akar says he then looked into the visa status of Parker Drilling’s foreign employees and says he was stunned to find that around half of all the foreign workers were business visas holders although they were actively employed by the company in the Oil Search operations. Mr Akar collected evidence over a 12 month period before he felt sufficiently confident to raise the issue with the company. When he did raise the matter, the response from Parker Drilling was abrupt, Mr Akar says he was threatened with the sack if he pursued the matter any further. Mr Akar claims that he refused to be intimidated given the serious nature of what he had uncovered. In March 2006, he wrote to the Secretary of the Department of Foreign Affairs and Migration alleging Parker Drilling was abusing the business visa scheme, and bringing in large numbers of foreign workers. These workers, he claimed, were conducting jobs normally reserved for Papua New Guineans, such as welding, mechanics, electricians and warehousemen. In April 2006, the Parker Drilling Company of New Guinea paid a K345,000 fine to the Department of Labour for breaching the law and employing non-citizens on business visas. According to a later media report, around that time there were two companies fined for illegally employing over 100 workers on business visas. One, operating in the Highlands Region, possibly Parker Drilling, had employed 72 workers on business visas. The Department Secretary described this as just the “tip of the iceberg”. Mr Akar did not only report matters to the Department of Foreign Affairs. He was concerned by evidence that the visa abuses had been ongoing for a number of years and, according to people in the company, officers in the Department of Foreign Affairs were aware but took no action. Mr Akar, therefore wrote to the Ombudsman Commission requesting an investigation into the Department. He also wrote to police department in Mendi. The local police inspector followed up and wrote to the Director of Crimes at police headquarters in Port Moresby. The Inspector’s letter appears to confirm that according to a police investigation, Parker Drilling was indeed breaching immigration, labour and employment, and taxation laws and unlawfully evading work permit fees. There is no evidence of any follow up from police headquarters and rather than conducting its own investigation, the Ombudsman Commission, referred Akar’s complaint to the Secretary of the Department of Labour for his ‘consideration and deliberation’. Although we don’t know the final outcome, this could have been a serious abdication by the Ombudsman Commission of its responsibilities as an independent agency. In the agency’s own words, the issues at hand were ‘of serious concern’. In late 2007, says Mr Akar, he was forced to resign his job with Parker Drilling due to a deterioration in the work environment, as a result of the penalty imposed on the company. Mr Akar was able though to secure a new position with High Arctic Energy Services. High Arctic Energy Services is a Canadian publicly listed company that provides drilling and other support services to the oil and gas industries. At High Arctic, Mr Akar was employed from April 2008, as a ‘HR/Site Travel Administrator’, again arranging staff flights in and out of the remote drill locations in the Highlands region. Mr Akar says he was shocked to find at High Arctic, what he alleges, were some of the same illegal activities that he had earlier uncovered at Parker Drilling; the abuse of business visas (with associated taxation implications), and the employment of foreign nationals in reserved positions. This was despite his earlier complaints to the police and Ombudsman Commission, which if followed through, could have been expected to have removed the opportunity for such unlawful activity. “I note the contents of your e-mail and having discussed same with my management team and obtained legal opinion, including clarification from the Department of Immigration, the Company, contrary to the allegations asserted in your subject e-mail confirms that it is fully conversant and compliant with all relevant regulations and legislation pertaining to the employment of non-citizens for the Company’s operations in Papua New Guinea”. This response did not satisfy Mr Akar, indeed it set off further alarm bells. If he was correct and the company was breaching immigration laws, the company was claiming it was doing so with the full knowledge and approval of the Department of Immigration. Mr Akar wrote back to the company in May, reiterating his concerns and his determination to take matters further if the issues were not addressed. This time the response from the company were threatening and abusive. High Arctic alleged Mr Akar was making threats in order to ‘unjustly enrich himself’. The company flatly refused to meet with him to discuss the allegations and threatened legal action. Alarmingly, although the response from High Arctic to Mr Akar was marked ‘confidential’, Mr Akar claims it was distributed widely on company emails. If this is true, it would have been a serious breach of normal whistleblower response protocols and impacted on both Mr Akar’s standing and reputation and also, arguably, sent a strong signal from the company to its staff on the treatment whistleblowers could expect. The email appears to be from Kevin Doran, High Arctic’s Regional Manager and the same person who had earlier signed the letters from High Arctic to Mr Akar. In 2013, Mr Doran was promoted to the role of President of High Arctic’s International Operations. Mr Akar was not deterred by High Arctic’s abusive and threatening response to his concerns. Instead he referred the matters to both DLIR, and the Ombudsman Commission, who also then took the issue up with DLIR. In a letter to Mr Akar, dated April 2010, the Ombudsman Commission confirmed that High Arctic Energy had breached the Employment of Non-Citizens Act by employing non-citizens to perform reserved jobs. The letter says the company admitted its guilt and paid a penalty fee of K330,000. The letter states the Ombudsman Commission was satisfied that the Department of Labour had acted professionally but does not refer to allegations that officials in the Department of Immigration and DLIR had earlier approved the practices (as suggested by High Arctic in its letters to Mr Akar). Despite Mr Akar again being vindicated, he was the one who suffered, as he was soon out of work once again. Meanwhile High Arctic continued its lucrative drilling work and the State pocketed at least K330,000 in fines and penalties to add to the earlier K345,000 paid by Parker Drilling. Mr Akar says that as a result of raising the immigration matters with High Arctic Energy Services he was first forcibly removed from his contract position as a ‘HR/Site Travel Administrator’ and demoted to a new position as a Rig Clerk on a drilling rig that was, unknown to him, shortly to be shut down. In June 2009, just three months after his demotion and transfer, High Arctic shutdown the particular rig and all the staff working on it were made redundant. Mr Akar says for some reason, he was not on the list informing staff of their redundancy and was only served his termination notice 90 minutes before the flight taking him off the site. Even more worrying is the treatment Mr Akar received subsequently. Feeling he had been unjustly treated, Mr Akar lodged a complaint with the Department of Labour over the circumstances leading up to the termination of his employment. DLIR took up the complaint and wrote to High Arctic Energy, expressing their ‘suspicion’ that management of High Arctic had ‘pre-planned and orchestrated the demise of Mr. John Akar from his work as his continued employment was seen as disharmonious within the company when he always stood up and confronted management on the engagement of non-citizen workers on Business Visas’. In a letter dated January 2010 to the Executive Manager DLIR, High Arctic claimed that Mr Akar’s layoff “occurred solely in response to an organisational restructure as a result of Oilsearch [sic] reducing its drilling activities” and Mr Akar had “been treated fairly”. This followed another letter, a month earlier, in which High Arctic claimed they would soon be expanding operations and “Should John Akar apply for an appropriate position vacant when they are advertised, the company will definitely consider his application, along with all the other applications’’. This claim by the company to the Department of Labour is contradicted by the more nuanced view on Mr Akar revealed in an email from High Arctic to Oil Search dated September 2010. According to High Arctic, by reporting their breach of PNG laws, Mr Akar had “breached the relevant clauses of the HAES Code of Conduct” and while “there is little doubt this matter may have been handled more professionally at the time of the redundancy exercise” rehiring him was not an option “given his propensity for obtaining and disclosing confidential company information”. 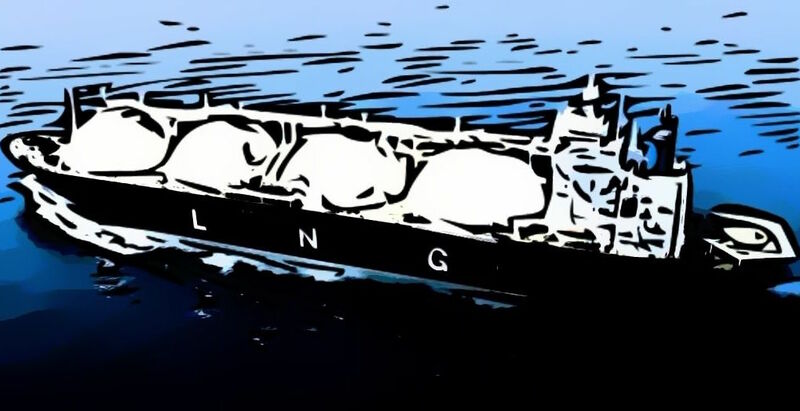 Oil Search describes itself as a regionally significant oil and gas producer which operates all of PNG’s producing oil fields and has a 29% interest in the ExxonMobil LNG project. It is listed on both the Port Moresby and Australian stock exchanges. The company website speaks a lot about corporate social responsibility and in February 2018, the company released its first report on the Voluntary Principles on Security and Human Rights. Many of the key facts in this story have been known to Oil Search since 2010 when they were contacted directly by the whistleblower about the immigration breaches and his treatment. It appears Oil Search then contacted the people that Mr Akar was reporting on, and in so doing divulged his identity to them. Oil Search do not appear to have taken any robust steps to protect Mr Akar despite the serious nature of the illegal actions he was reporting on. There are also questions about whether any Oil Search employees assisted in the visa scams and immigration abuses that Mr Akar witnessed at Parker Drilling and High Arctic between 2006 and 2009. Mr Akar says, Oil Search employees issued airline tickets and booked seats for contractors’ workers on Oil Search charter flights and may have known they had only business visas but were going to the sites to work. Oil Search’s has a Code of Conduct, which applies to all its contractors and which demands integrity and respect for the law. By employing foreign nationals on short-term business visas, Parker Drilling and High Arctic Energy Services would have been in breach of such a Code, as would any Oil Search employees if they indeed were complicit in the arrangements. Many of these protections already existed before Mr Akar began working on Oil Search projects but none have assisted him. Mr Akar should have been protected and assisted by Oil Search in making his complaints but instead he says he has been shut out. This sends a very disturbing and chilling message to others working on Oil Search projects and in the wider industry and seems to undermine international efforts to combat corruption through the use of voluntary codes of conduct. Mr Botten’s response to a colleague when contacted by Mr Akar about the visa abuses and his treatment as a whistleblower, “I am not sure how much we should get ourselves involved in this”, raises questions about how seriously the company takes its whistleblower commitments and whether it was willing to overlook serious immigration breaches by contractors and even the possible involvement of its own staff and government departments. This is not just a story about corporate malfeasance it is also a personal story about one man’s struggle to try and uphold the law and protect the country he loves. John Akar is from Kundima village in the Angoram District of East Sepik Province. As a result of his exposing the illegal activities of his employers he lost his job, not once but twice, and ended up unable to support his wife and three children. There was no money for school fees or basic necessities and the family soon split up. John is now living in his home village, apart from his wife and children. He says it has taken him a while to adjust back to the village way of life but he has survived. He no longer has contact with his children and to this day, he has not explained to them why the family split up and he is not sure if he ever will tell them what happened as he feels a deep sense of shame that he was not able to support their education and give them the same opportunities he enjoyed. Whistle blowing is a serious business. It is often the only way that illicit behaviour, whether committed by government officials or multi-national corporations, can be exposed, but whistleblowing can have devastating consequences for those that expose illegal activities. Despite the many dangers he faced and the many hurdles put in his way, Mr Akar selflessly fought to uphold the laws of Papua New Guinea and expose the illegal visa scams and illegal employment of foreign workers in the oil and gas industry. As a result of his bravery and persistence, two international companies have been fined K675,000 for breaching PNG’s labour and immigration laws. But while all the companies involved in this story continue to thrive and flourish, Mr Akar has suffered damage to his professional reputation, loss of employment and income, family break up and medical conditions. All as a result of the role he played as a concerned citizen in exposing the illegal employment of non-citizens in the oil and gas Industry. And despite Mr Akar’s efforts in involving the Ombudsman Commission and police, it must be seriously queried whether the weaknesses and possible abuses in the Departments of Labour and Immigration that allowed the employment scams to flourish have ever been properly investigated or addressed. What is very clear though is that for as long as PNG fails to introduce a comprehensive whistleblower protection law then efforts to combat illegal activities, crime and corruption will continue to be seriously undermined.